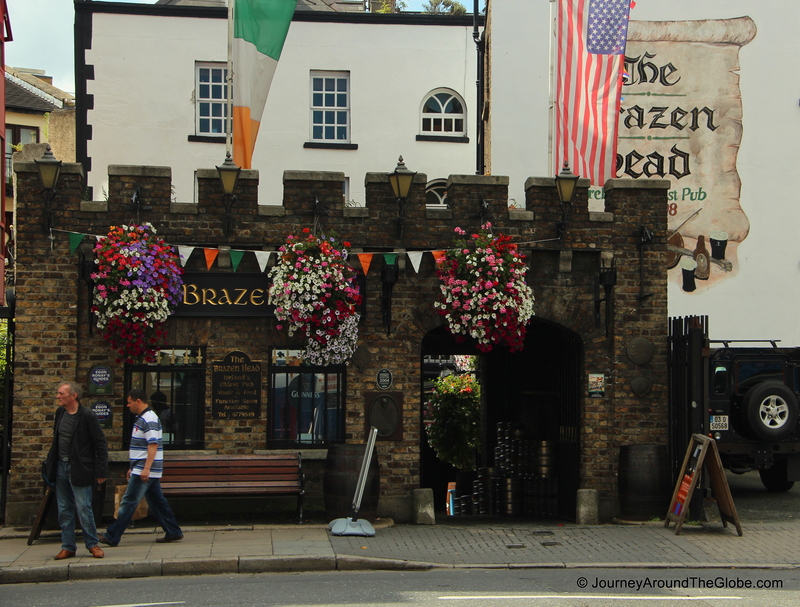 DUBLIN, REPUBLIC OF IRELAND: Visiting Ireland was a dream coming true for me. 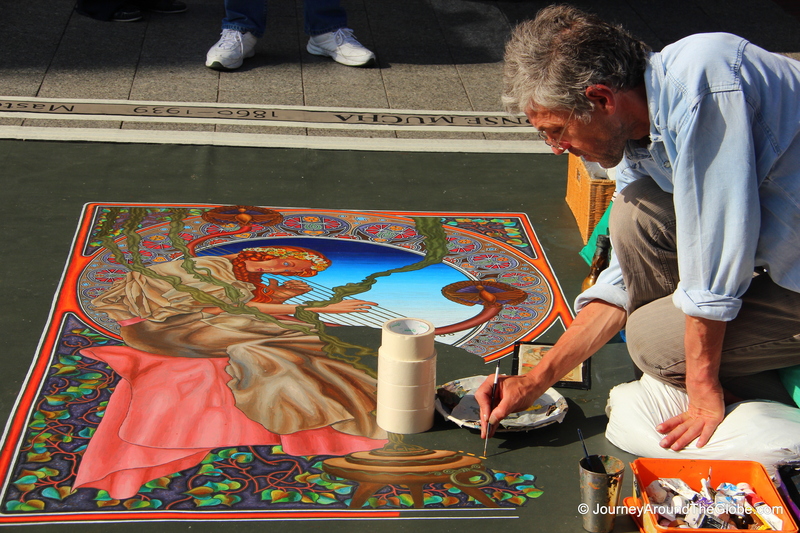 I am not so much into crowded city, but I simply loved the hustling and bustling of Dublin. It’s an up-beat city with lots of energy and attitude. I truly enjoyed the great combination of its laid back charms and busy city life. How is it possible? Come to Dublin and they will show you how they can be both laid back and yet be spontaneous all at the same time. After visiting Dublin, I realized that Irish are the friendliest and jolliest people in Europe. They will just come and start a conversation instantly and will come forward to help you if they see you looking left and right with a map in your hands. Ireland was established or founded in 988 A.D. but got its independency from Great Britain in 1921. Dublin (“Dubh” and “Linn” means The Black Pool in Gaelic), being the capital of Ireland, has many historical buildings and places that played big role in getting their freedom from the English. 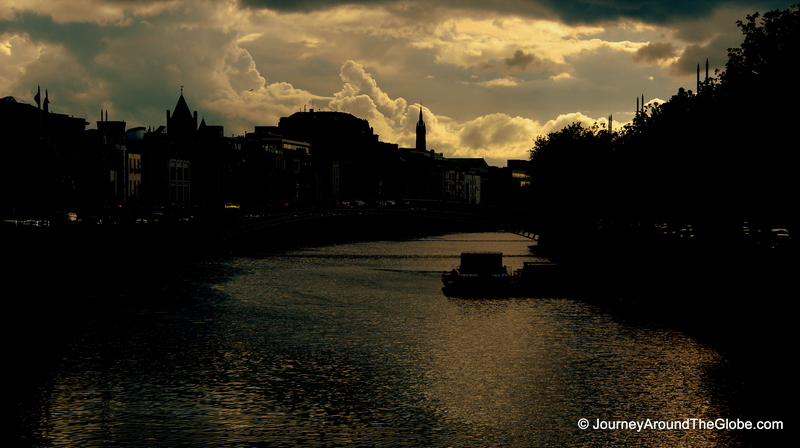 River Liffey made its way to different parts of the city making it even more beautiful. 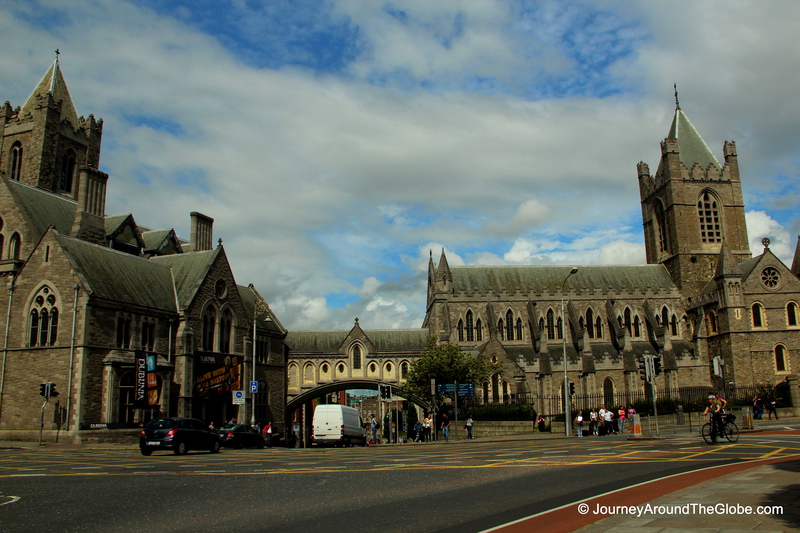 TIME OF TRAVELING: We took a train from Belfast to Dublin in the 2nd week of August, 2012. It was a nice 2:30 hours of scenic train ride. We did buy the tickets before hand, but I am sure you can buy them on the stop too but will cost more. We didn’t get much of rain during our stay, may be once or twice a sudden heavy rain for 5 minutes and that’s all. Otherwise, the summer is very pleasant here, may be a bit chilly at night. OUR HOTEL: We stayed in Blooms Hotel in Temple Bar. This is a 3-stars hotel with free Wi-Fi but the location was AWESOME. This is about a minute walk from the heart of Temple Bar. 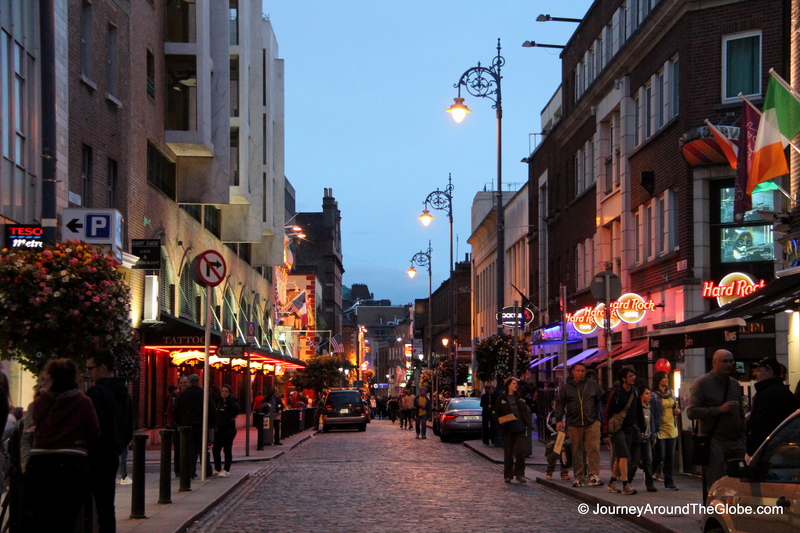 We usually explored other parts of the city during day and had our dinners in Temple Bar. This is also within 10 minutes of walk from most of the tourist attractions like Dublin Castle, Dublin City Hall, O’Connell Street, and Trinity College. WHAT TO EAT AND BUY IN DUBLIN: “There is more philosophy in a pint of Guinness than in all the books in Trinity College” – Martin Keane, Proprietorship. I found this quote on the tiny envelope where our hotel receptionist put the keys for our room. This tells a lot about what to drink in Ireland, doesn’t it? 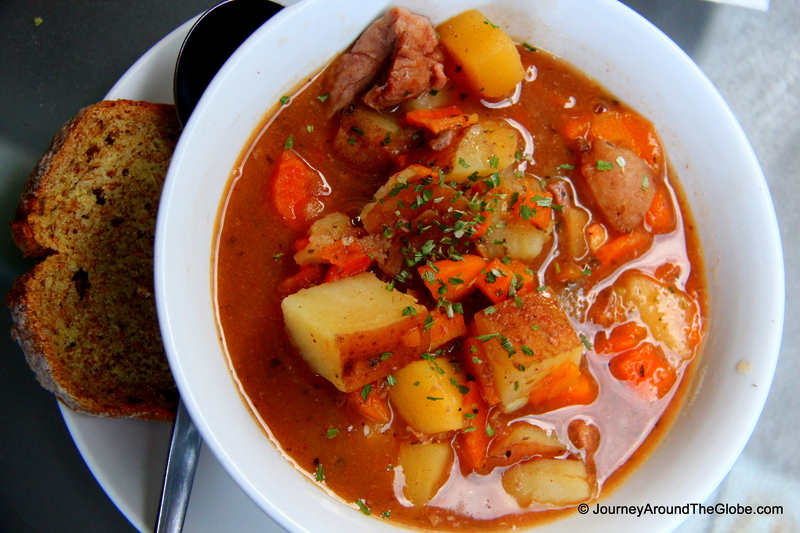 Other than that, traditional Irish stew is a very famous dish here which is cooked with lots of potatoes and vegetables like carrots. Some places have it with beef, but if you want the old-style stew then lamb is the way to go. Fish items are also very well-known here for those seafood lovers. 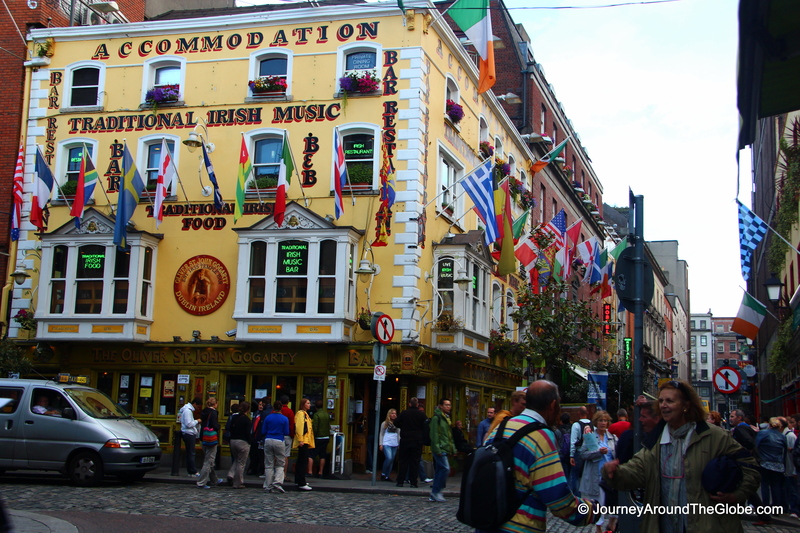 There are tons of traditional Irish restaurants with live music and performers in Temple Bar. We had one dinner and a traditional Irish breakfast in one morning in O’Shea’s which has good Irish food for good price. For another dinner we tried another restaurant called “Rome to Mexico” where you can get Mexican food as well as Italian food. Some people may be surprised that we actually went for Mexican restaurants in Dublin!!! This is what happens when you are away from Taco Bell for too long!!! The food was the yummiest and the place was right beside the original Temple Bar restaurant (the red building). For gifts and souvenirs, Carroll is the biggest store in the city. They are almost everywhere in Temple Bar and O’Connell Street. They have the largest selection of Irish gift items and you can find anything and everything that you are looking for including Irish CDs, t-shirts, mugs, Celtic ornaments and jewelries, Guinness items, and leprechaun. There are some other stores as well selling the same stuff. I bought a sweat-shirt “Temple Bar” written on it; you can only find it in Temple Bar, nowhere else. PLACES WE’VE VISITED: We got 2 full days in Dublin. We didn’t go out to countryside to see the true beauty of Ireland this time. We were enjoying the city itself so much that we decided not to go to the mountains or the coastal sides. As usual, we hit most of the places by foot. It is a lot of walking but it didn’t feel like so since I was enjoying every bit of the city. Dublin is known for its beautiful and colorful doors…so pay attention when walking around the city or a neighborhood for these doors. Some of the places that we saw other than the ones I’ve listed are old city wall, Samuel Beckett Bridge on River Liffey which looks like a harp (built in 2009), the grand building of Customs House on the bank of Liffey and very close to Samuel Beckett Bridge (built in 1791), Brezen Head Inn – the oldest Irish pub from 1198, and one of the world’s oldest cast-iron bridges, Ha’Penney Bridge. 1) O’CONNELL STREET & BRIDGE, O’CONNELL MONUMENT, and THE SPIRE: This is the heart of Dublin and THE place to hang out day or night. The long stretch of O’Connell Street is a perfect place to eat, buy souvenirs, do shopping, enjoy River Liffey from O’Connell Bridge (built in 1880), or to just take a stroll. 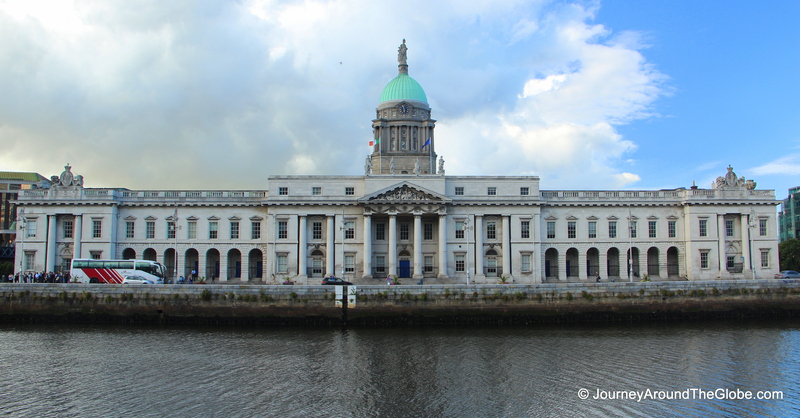 One of the iconic buildings of Dublin, the historical General Post Office, is also located here. You will find some high-end restaurants here as well as good fast foods like McDonald’s, Burger King, and Subway. O’Connell Monument, built in 1882, is right near O’Connell Bridge as you are coming from south. 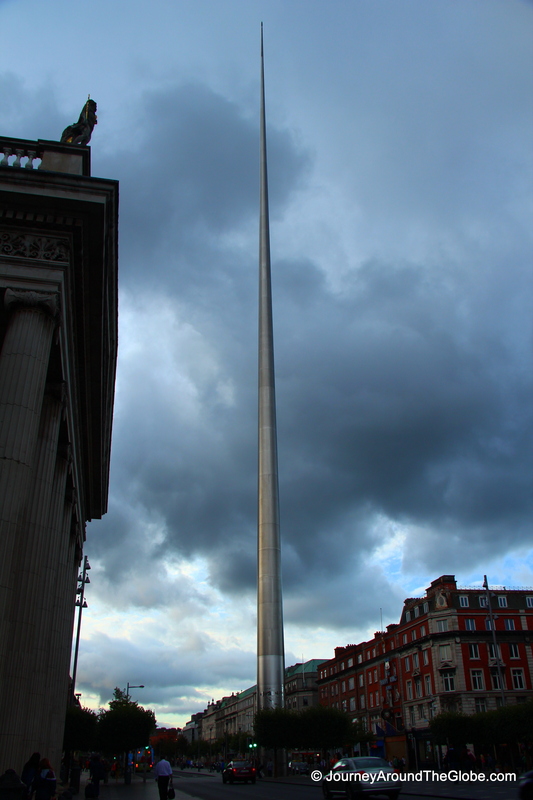 And the Spire (built in 2003), one of the tallest sky-touching needles I have ever seen, is on one side of O’Connell Street. The small branches of O’Connell Street are very impressive and charming as well. 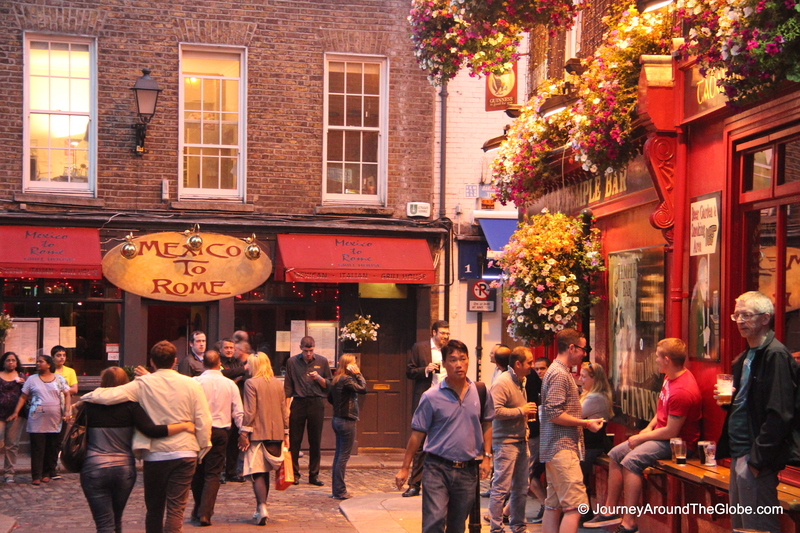 2) TEMPLE BAR: Nightlife here in Temple Bar is definitely noteworthy. This is where the good stuffs are happening in Dublin. I don’t think this place ever sleeps. It becomes more beautiful and more crowded after evening. Temple Bar consists of few streets and blocks mostly cobbled-streets for pedestrians. You will see colorful flower baskets in front of most of the restaurants and pubs. This is the best place to hang-out and have a drink or meal. Most of the restaurants here are traditional Irish pubs and usually have live performers, singers, comedians every night, especially in weekends. 3) ST. PATRICK’S CHURCH: This is a giant edifice with English style Clock Tower right beside St. Patrick’s Park. The Normans built a church in stone on this site in 1191. This was rebuilt in the early 13th century and is the building we see today. This is a lovely church as well as a great museum for those who loves history. The writer of famous book “Gulliver’s Travel” Jonathan Swift’s grave is located in the south aisle of the nave of the cathedral. He was the Dean of this cathedral from 1713 – 1745 and wrote the book while he was in that position. His pulpit can still be seen although it is no longer used. The cathedral houses some memoirs of Jonathan Swift along with other previous deans. Pay attention to the sparkly and colorful tiled floor as you walk on them. The church is open Mon – Fri: 9 – 5, Sat: 9 – 6. The fee to enter the church is 5:50 euros per adult and family ticket is 15 euros (2 adults + 2 children). 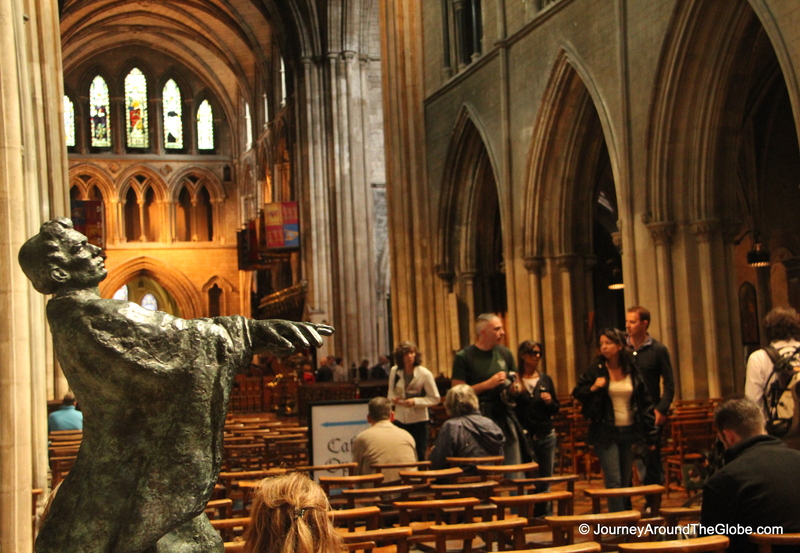 4) CHRIST’S CHURCH CATHEDRAL: This church was founded in 1030 A.D. making is the oldest building in Dublin. Christ’s Church Cathedral is very similar to St. Patrick’s Church inside and out. 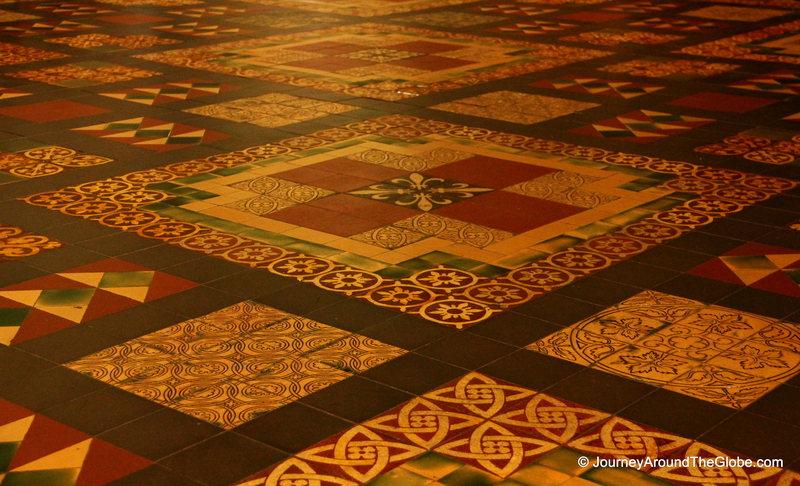 They both have similar English style outer look and very similar colorful floor design and altar. The church has a great collection of cathedral’s history, artifacts from royal gifts and communal ceremonies. Do go downstairs to visit the interesting crypt and treasury where visitors can see old costumes of the church’s members, the oldest foundation of the church from 11th century, old furniture, silverware, and ceremonial artifacts on display. The crypt is not only one of the largest medieval crypts in either Britain or Ireland, but also the oldest structure in Dublin. One interesting display in the crypt is the cat and rat (opposite the gift shop) – the one presumably chasing the other, were trapped in an organ pipe in the 1860s and became mummified. Another FYI, Christ Church Cathedral has a record-breaking 19 bells, the greatest number of bells in the world run full-circle. Christ’s Church Cathedral is open daily 9:45 – 6 in June – August and 9:45 – 5 in September – December. The crypt and treasury are open until 5. The entrance fee is 6 euros per adult, 2 euros per child, and 14 euros per family with 2 adults and 2 children. You can also get combo ticket for this church and Dublinia Museum for a cheaper price. You can go top of the bell tower for 4 euros extra and it takes about 30 minutes; kids 12 years or under aren’t allowed to go there. 5) DUBLIN CITY HALL: This is another grand building and an outstanding example of Georgian architecture situated right beside Dublin Castle. It was built between 1769 and 1779 by the Guild of Merchants. The building has been used as the city hall since 1852. The exhibition here displays story of Dublin, Ireland from 988 when the Vikings found this city, medieval life of this city, Ireland under British laws, history of their independence, and finally, how it got its modern face. If you are not interested in the history or exhibition, go to the Rotunda on the 2nd level, which is free of charge. This is a big circular hall with spacious dome, supported by 12 columns and beautiful art-works on the wall. There are few statues of the glorious sons of Ireland who played major roles in getting their freedom and to the society. City Hall is open Mon – Sat: 10 – 5:15 and closed on Sundays and holidays. Exhibition of city hall is 4 euros per adult, 1:50 euros per kid, and 10 euros for family ticket (2 adults and 2 children). 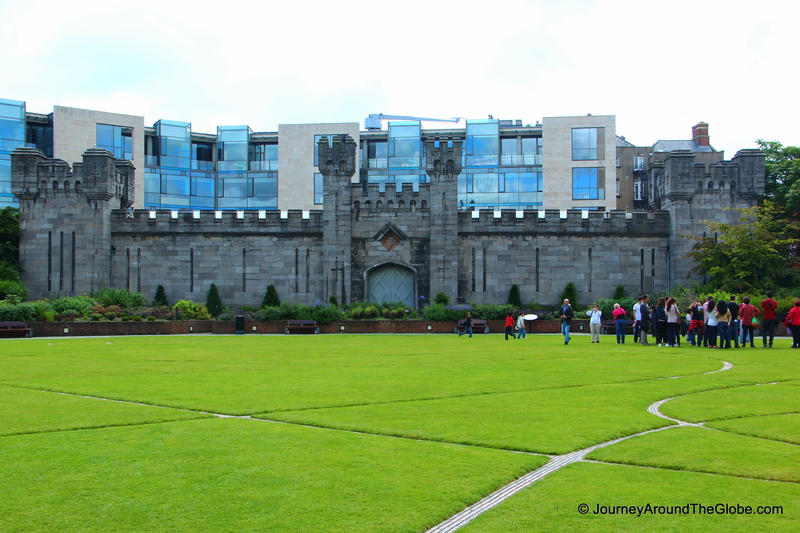 6) DUBLIN CASTLE & SURROUNDING SITES: Unlike most of the castle we’ve seen so far, Dublin Castle is right in the middle of the city and right beside the town hall. The castle was established in 1204 A.D. We walked right in the inner courtyard of the castle which has relatively new buildings on all the sides. 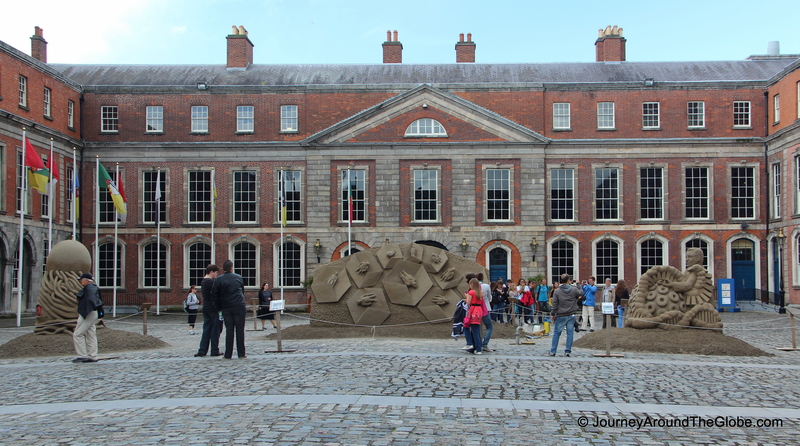 The courtyard featured some sand sculptures in the center and we saw an artist working on his project to make a sand-sculpture surrounded by other finished sculptures. We didn’t really go inside the castle, just spent some time walking around outside. 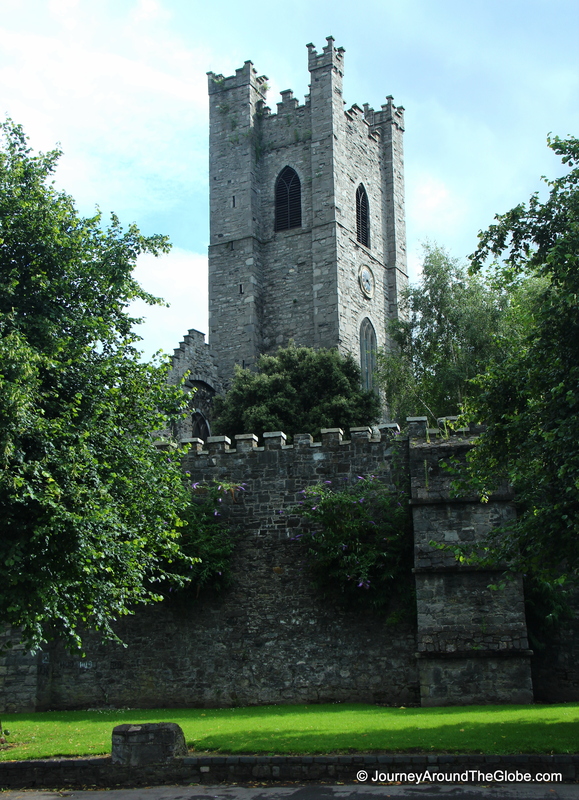 There is a small chapel, called the Chapel Royal, near the Record Tower (with 15 ft. thick walls), which functioned as a top security jail for State prisoners in the old days and is the last intact medieval tower of Dublin City. Go around the other side of the castle where you will see few museums, and entrance to Dubh Linn Garden which once was the original site of Dubh-linn harbor (Black Pool in Gaelic) from which the city got its name from. The gardens are designed as a helicopter landing pad, with a pattern of six interlocking brick pathways (inspired by Celtic design) that are distinctive from the air. The Coach House, a mock-Gothic stone façade opposite of the main entrance, was constructed to house the Lord Lieutenant’s own coach and string of horses. Chester Beatty Library, located on one side of this garden, is a world-renowned art museum and library containing a rich and diverse collection of prints, drawings, books, miniature paintings, and decorative arts from Asia, the Middle East, North Africa, and Europe. We didn’t go inside the library, but you can see Egyptian papyrus texts, illuminated copies of the Koran, the Bible, and European medieval and Renaissance manuscripts. The castle is open Mon – Sat: 10 – 4:45, Sun & Holidays: 12 – 4:45. There is no entrance fee but you will need guided tour to go inside the castle that costs 4.50 euros per adult and 2 euros for kids less than 12 years of age. 7) TRINITY COLLEGE & THE OLD LIBRARY: Trinity College is among one of the prestigious universities of the world and is beautifully situated in the heart of Dublin. It wasn’t that crowded in summer since most of the students were gone for the break. This Library square is very nice and calm where you can see the largest Oregon Maple tree in Europe from 1800’s. 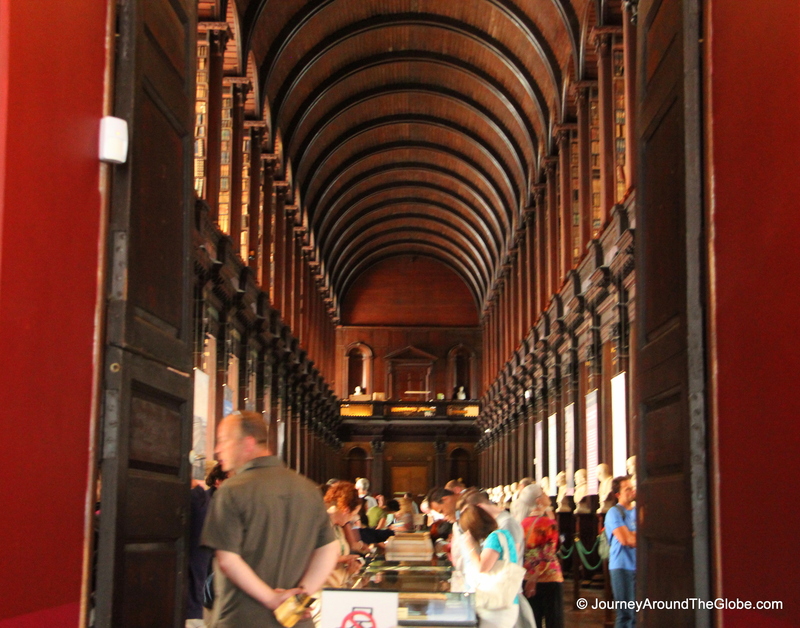 Most of the visitors come to visit this college mainly to see its Old Library and Book of Kells (about 1 million visitors every year)…the cream of Irish beauty. Trinity College Library Dublin is one of the world’s great research libraries, holding the largest collection of manuscripts and printed books in Ireland. The earliest surviving building, the Old Library, was built between 1712 and 1732. The exhibition area of the Old Library displays Irish medieval gospel manuscripts, principally the gorgeously illustrated and colorful calligraphy of original manuscript of the Book of Kells, the Book of Armagh and the Book of Durrow along with the history of these prints. These books were written in around 800s by Irish monks. The main chamber of the Old Library, the Long Room, is about 65 meters in length and houses around 200,000 of the Library’s oldest books. The oldest surviving harp from Ireland, probably dating from the 15th century, is also displayed in the Long Room. As an early emblem of early society, this is the harm which appears on Irish coins. The Long Room also has busts of many famous intellectual people like Newton, Aristotle, Shakespeare, Socrates, and many more. It kinda feels overwhelming being among thousands of old books, and manuscripts. We, luckily, found a young guy selling tickets for walking tour in the university (Old Library is self-guided) near the main entrance. The tour costs us 10 euros per adult (kids are free) for 30 minutes which allows you to go to the Old Library as well. 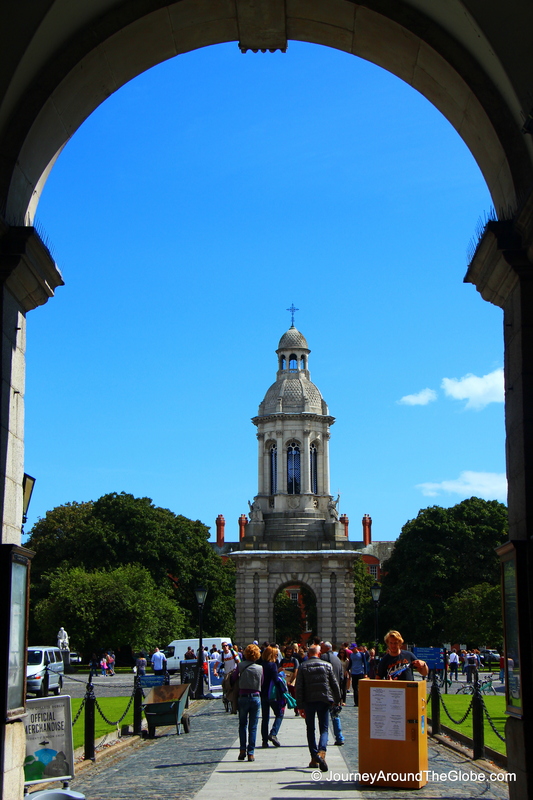 This was a good deal not only because the guide is a student of this college who can give you practical insights of this place but also you can use the same ticket to enter the library of Trinity College which is otherwise 9 euros. Be ready to stand on the line for a while to go inside the library. Pictures aren’t allowed in the exhibition area and in the Long Room. 8) AN POST MUSEUM: This is the general post office on O’Connell Street which was captured by Irish rebels on Easter Monday in 1916. This is one of the iconic buildings of Dublin that played a big role on their independence. The museum displays old stamps, videos/information on the early methods of delivering mails and parcels. The main reason we went to this museum was to see what actually happened on that Easter Monday in 1916 and surely, the video in the museum provided us with those great historical moments. An Post Museum is open Mon – Fri: 10 – 5 and Saturday: 10 – 4. The entrance fee is 2 euros per adults and free for the kids. 9) TRIP TO BELFAST: Belfast, the capital of Northern Ireland, is very close to Dublin…only 2 hours and 30 minutes of scenic train ride. The city itself is very beautiful and vibrant. 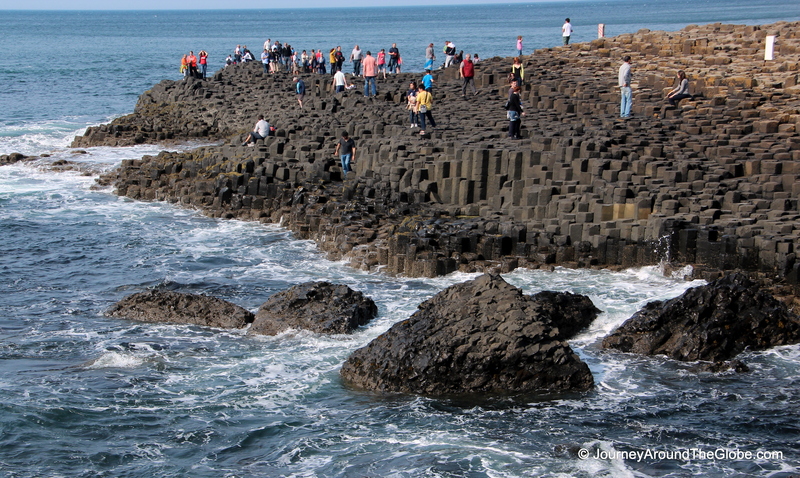 There are few guided tour bus services that you can take to visit the coastal side of the country and go to Northern Ireland’s only UNESCO World Heritage site Giant’s Causeway. Please visit my page on Belfast from the side bar to see all the fun things you can do in Belfast. I loved this post! It was a great reminder of my trip to Dublin many years ago. When I was younger, I loved Dublin and loved going there on the weekends when I wasn’t minding any children. Now as I have come back to live nearby Dublin, I find the city a bit boring to be honest. I find rest of Ireland so beautiful!! I much prefer lived in Cork or something. Then again, I don’t really like going/staying in the capital area of any country! Thanks for stopping by. Yeh next time we go to Ireland I wanna check out the coastal and the country side. But I loved Dublin too… Since we dont get to experience these types of charms and views in the States all the time.